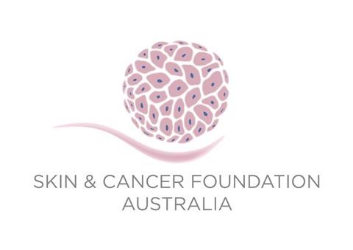 Are you a dermatologist, pathologist, haematologist, oncologist, GP or physician? We want you to join us at the multidisciplinary World Congress on Cancers of the Skin 2018®! Registration and accommodation bookings are now open! With only a few weeks left, be sure to take advantage of the early bird rates with up to 20% off the standard rate. Do not miss the opportunity to hear the latest research on topics such as Management of High Risk Early Stage Melanoma, Non-Surgical Management of Skin Cancer, Comprehensive Skin Surgery and Dermoscopy Courses, Computer Models/New Technologies and many more. Explore the plenary and panel sessions as well as the social events in the updated Congress Program! Discounted flights for WCCS 2018 with Qantas! Qantas is delighted to be the major airline sponsor and are offering registered delegates and travel partner’s special discounted airfares which are easily booked online via the dedicated booking portal. When booking, use the code wccs18 to access these airfares. Qantas is offering all delegates free membership to the Qantas Frequent Flyer Program, which is a saving of A$90.00. Redeem your points towards flights to see more of Australia, or keep your points and redeem with your own local One World Partner Airline after you return home. Contribute to your education and training by accrediting your attendance at WCCS 2018 and receive Professional Development Points (PDP) from the Australian College of Rural and Remote Medicine or through your self-credited programs.